Project X Origins is a ground-breaking guided reading programme for the whole school. Action-packed stories, fascinating non-fiction and comprehensive guided reading support meet the needs of children at every stage of their reading development. 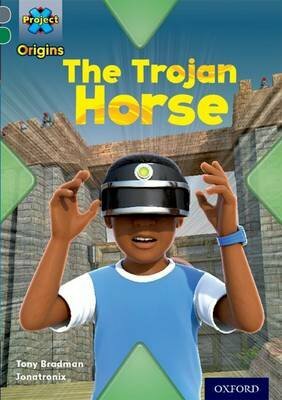 In The Trojan Horse a new computer shop has opened in Greenville and everyone is invited. Cat, Ant and Tiger can't resist but Max isn't so sure. He has a feeling Dr X is up to something Each book also contains inside cover notes that highlight challenge words, prompt questions and a range of follow-up activities to support children in their reading.